During the Soviet period, graphics secondary status to painting as a platform for disseminating official ideology granted it a measure of flexibility. Paid less attention by state censors, artists were able to pursue personal creative endeavors, explore formal artistic issues, and introduce new and challenging techniques – ultimately expanding graphics as a medium in its own right. The collapse of the Soviet Union and state-controlled art opened greater opportunities for artists, leading graphics to become one the most popular and highly respected art forms in Ukraine. The exhibit highlights the progress, innovation and character shaping graphic art over the last 40 years. 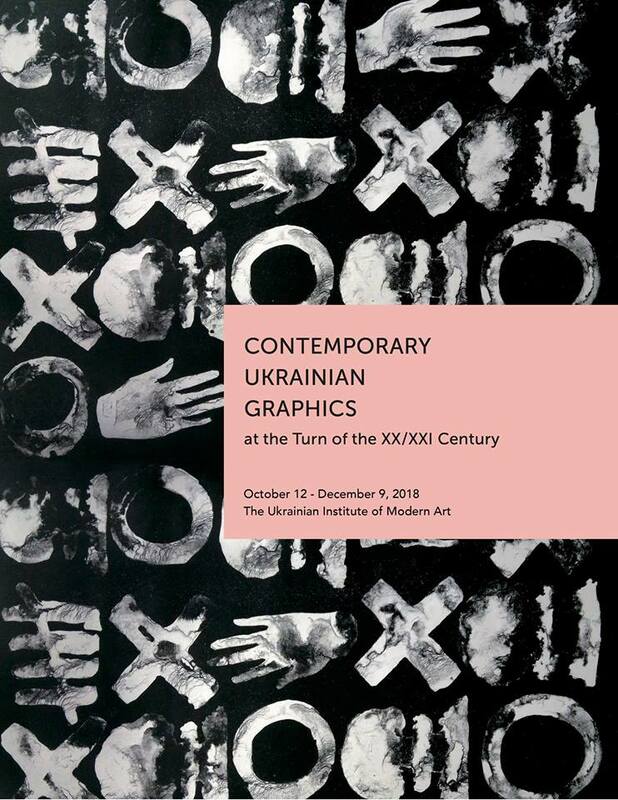 Featuring the work of 32 of the country’s most acclaimed artists, the exhibition focuses primarily on the three major graphic centers of Kyiv, Lviv and Kharkiv, as well as paying heed to smaller communities of graphic production. Urbanization, the condition of the urban individual, modernity, and the decorative are some of the pictured themes, just as other works demonstate artist’s engagement with newfound technical demands. The works of the following artists are included: Oleksandr Aksinin, Kostyantyn Antyukhin, Kateryna Bruievych, Alisa Gots, Valeriy Demianyshyn, Oleg Denysenko, Sergiy Ivanov, Kostyantyn Kalinovych, Iryna Kalenyk, Yaroslav Kachmar, Taras Kobliuk, Oleksiy Koval, Vitalik Kravec, Mikhail Krasnyk, Olena Kudinova, Olha Kuzyura, Vitaliy Kulikov, Pavel Makov, Natalia Myronenko, Bohdan Pylypushko, Roman Romanyshyn, Nina Savenko, Yuriy Savter, Serhiy Savchenko, Vasyl Savchenko, Bohdan Soroka, Oksana Stratiychuk, Anna Khodkova, Serhiy Hrapov, Yuriy Charyshnikov, Albina Yaloza, Kristina Yarosh. The exhibit is funded by the Ministry of Foreign Affairs of Ukraine, Ukrainian Consulate of Chicago and Sculpture Guild of Ukraine.